J. Morrissey is currently recruiting for an experienced Collections Specialist for a Contract to Hire opportunity in East Windsor, CT! The Collections Specialist is responsible for overseeing the day to day collection activities by working directly with division personnel, third party collection agencies and customers to ensure collection goals are met, and the risk of uncollected sales are minimized. 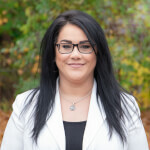 Jessica Goudreau has over 18 years of experience in the staffing industry and is a Staffing Manager with our Office Support team at J. Morrissey. Jessica primarily focuses on temporary and temporary-to-hire placements of office and finance professionals across all industries. Jessica has recruiting and sales experience in many industries including office and administration, manufacturing, and health care. Prior to joining J. Morrissey, Jessica worked for a large health care organization where she oversaw multiple site facilities. While there, she was consistently recognized for her outstanding recruiting and staffing strategies, performance, and customer service. Jessica’s strong work ethic and excellent communication skills make her an invaluable asset to our team. Outside of the office, Jessica enjoys volunteering in the community. She is specifically passionate about animals and has worked on many projects at local animal shelters.